With locations throughout the world, this luxury hotel chain caters to family vacations with amenities just for the kids, like child-sized robes. Restaurants have children's menus. The "Kids For All Seasons" program provides supervised activities which vary at each property, and they are all complimentary. Most resorts have children's swimming pools and play areas. Cribs, roll-away beds and amenities like baby soap are complimentary. All two dozen of the Disney World Resorts are family-friendly, so you can't go wrong with vacations there. Wilderness Lodge and Animal Kingdom have rooms with bunk beds available. The All-Star Resorts and Pop Century feature larger-than-life icons like 101 Dalmations and Mr. Potato Head that will delight younger children. Polynesian, Contemporary and Grand Floridian are a short monorail ride away from the Magic Kingdom. Stylish boutique hotels in metropolitan areas. Most offer family vacations that vary with the hotel. For example, the Hotel Marlow in Cambridge offers "Museum of Science" family vacations that include four VIP passes to the museum and mountain bikes. The Hotel Monaco in Denver offers "Monaco Munchkins" family vacations that include four passes to Six Flags (or to the IMAX, the Denver Zoo and the Museum of Nature & Science), a $25 gift certificate to Johnny Rockets, snacks and morning coffee. 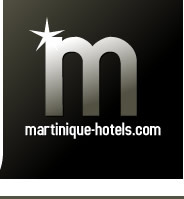 Luxury hotels throughout the United States and Canada. The "Loews Loves Kids" program for family vacations was developed in conjunction with Parenting magazine. Their Family Concierge will contact you before your arrival with a list of local activities your family might enjoy, and information on the hotel's family amenities. Family amenities vary by hotel, but generally include children's menus, board game and video libraries, welcome gifts and supervised children's programs. This worldwide luxury hotel chain has an extensive "Ritz Kids" program that caters to family vacations. Amenities vary at each hotel. Babies in Hong Kong can enjoy a butler-drawn bath, while families vacationing in Cancun can request quiet suites with phones that light up instead of ringing. Kids in Grand Cayman kayak and snorkel, while in Orlando families enjoy dive-in movies and take golf lessons. Most locations have creative "Healthy Taste" children's menus, and some have special kid suites. Geared to summertime family vacations, the "Hilton Vacation Station" is held at many locations in North America. Gifts, snacks use of a toys and games library are all free to kids twelve and under. Many of the most popular destinations for family vacations, like the Fontainebleau Hilton Resort in Miami Beach, offer supervised children's programs. Kids eighteen and under stay free in their parent's room throughout hotels in the United States. Children can help plan family vacations with the "Camp Hyatt" web site. Fifteen locations throughout the United States participate in this year-round supervised children's program, which offers activities ranging from boogie-board lessons at the Huntington Beach Resort to roasting S'mores over a campfire at the Grand Cypress Resort in Orlando. Many more Hyatts have game lending libraries, children's menus and special rates. Babies sleep in the crib version of the Heavenly Bed, and enjoy complimentary amenities like bottle warmers, strollers and juice. Kids have special menus, family-friendly television and movies, bedtime stories over the phone and welcome gifts. About a dozen Radisson resorts offer supervised children's programs. Many offer seasonal family vacation packages, like the "Sea World and Six Flags" getaway to San Antonio or a "Spring in Bloom" vacation package in Washington, D.C.
Resorts in the Carribbean have supervised children's programs like the watermelon eating contest at St. Kitts or the treasure hunts at Curacao. Children's programs are generally for ages five through twelve, although some resorts can accommodate as young as two, and others supervise teens in the arcade. Costs vary, but are generally around $25 per child per day. Elsewhere, kids under 18 stay free in their parent's room.